Strong diagnostic engine provides the practitioner with framework to arrive at more refined diagnosis. 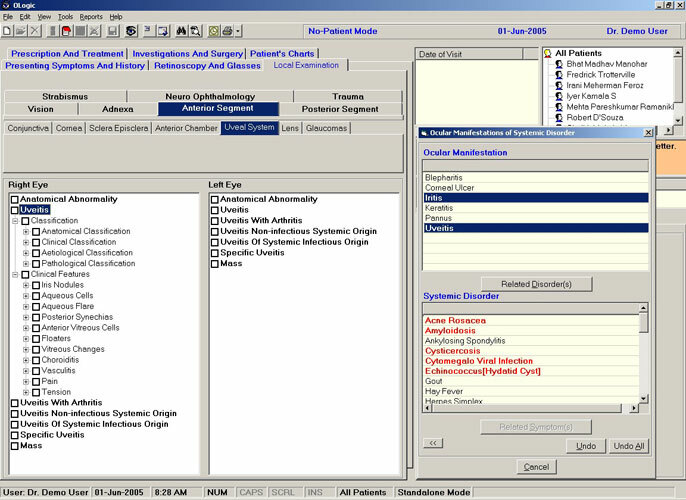 Presenting Symptoms and History - The signs evidence in the patient as well the family history of the patient can be stored in the patient profile. 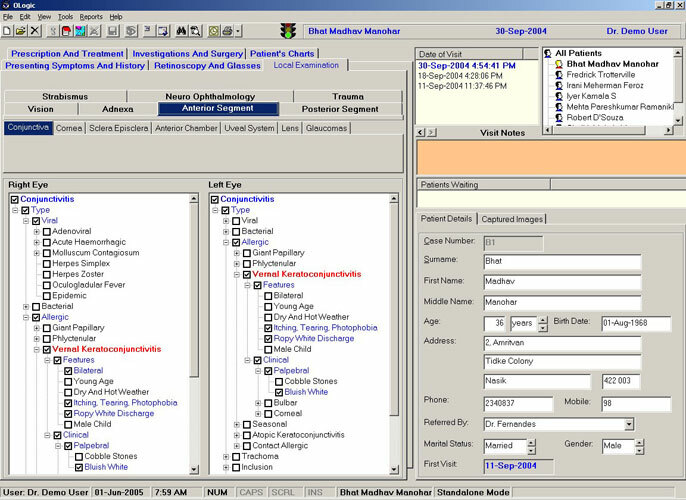 While listing the symptoms and history of the patient the user has just to select the already listed options in the Presenting Symptoms and History Tab, these lists are generated with lot of study and all that is possible is listed in this tab. 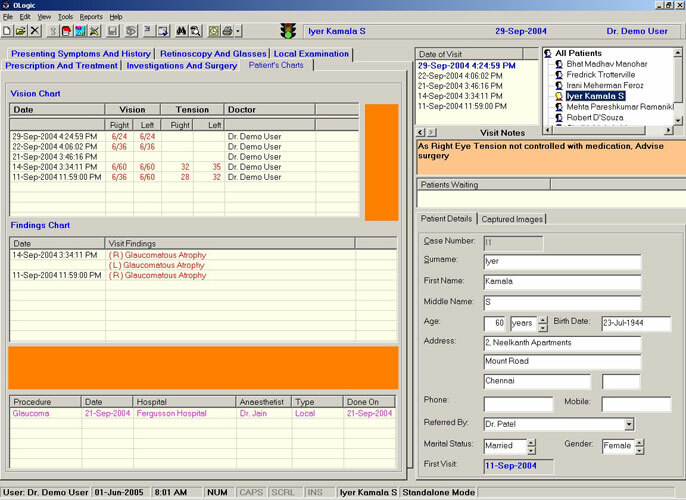 The user (Doctor) can finish the diagnosis with much greater speed and accuracy. Local Examination - A thorough local examination of the patient classified under the various parts of the eye can be conducted in a progressive manner culminating in an identification of ophthalmic condition. The practitioner is aided in this exercise by a huge library of relevant pictures representing the various ophthalmic conditions. 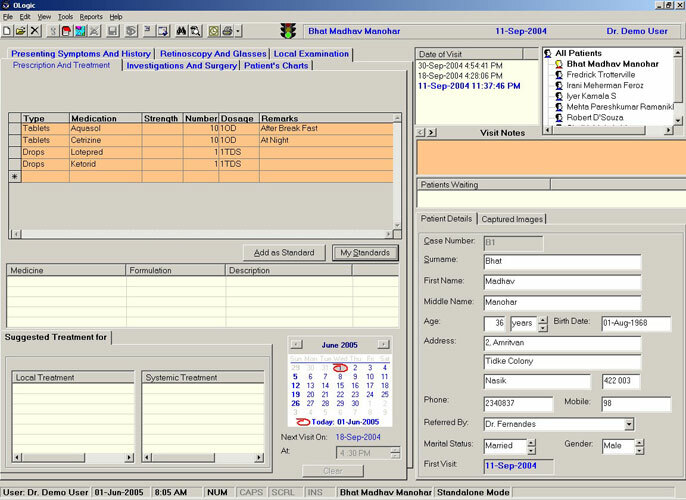 Retinoscopy and Prescription for Glasses Various- readings of refraction can be stored and details of the prescribed glasses can be stored as well. Prescription and Treatment -The software suggests prescription of the medicines for the patient's symptoms as well as suggests treatment for local and systematic disorders. This is based on Principles of Management as well as General Pharmacology. The practitioner, however, has the discretion to prescribe the preferred treatment based on his expertise and experience. 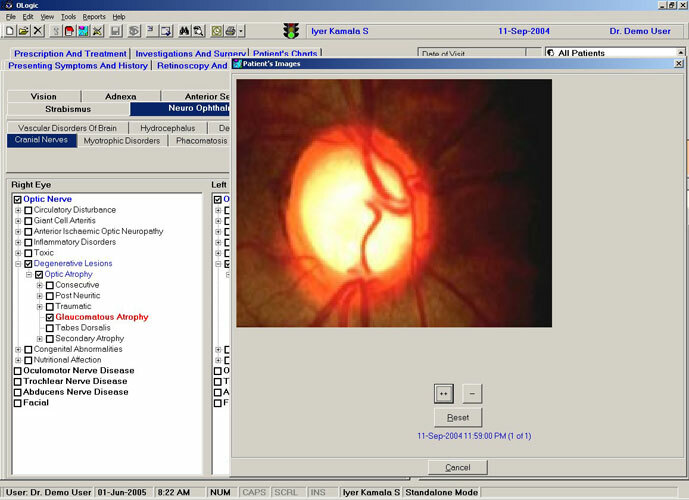 Investigation and Surgery -Readings of ophthalmic investigation like Keratometry, Tension, and IOL calculations can be stored. Also systemic and Pathological investigations suggested by the doctor can be stored and printed. 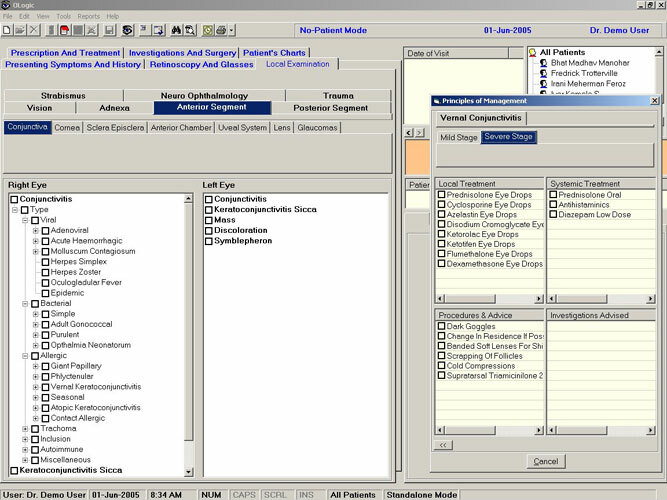 Patient's Chart - A snapshot view of the critical readings like Vision and Tension can be viewed in a tabular form to facilitate progress review. 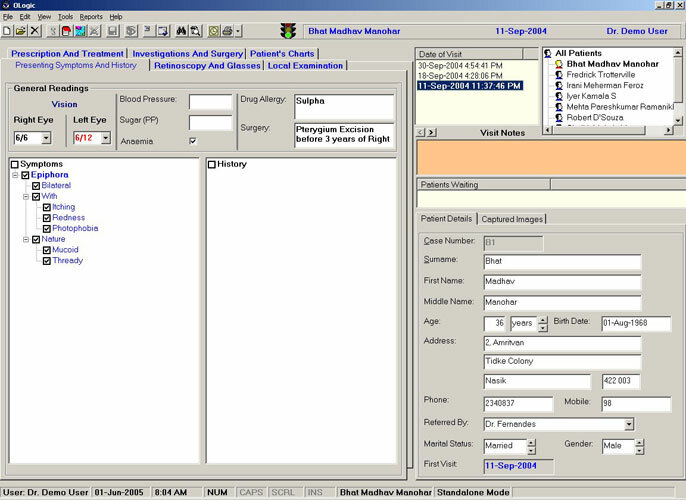 The visit wise findings identified by the practitioner can also be viewed in a tabular form to serve as a reference.